I’m not sure about you, I but am so ready for the Bank Holiday Easter weekend! I’ve been working all hours for the past few months, and haven’t really had any time off since Christmas, so the chance to take a couple of days to recharge is really needed! 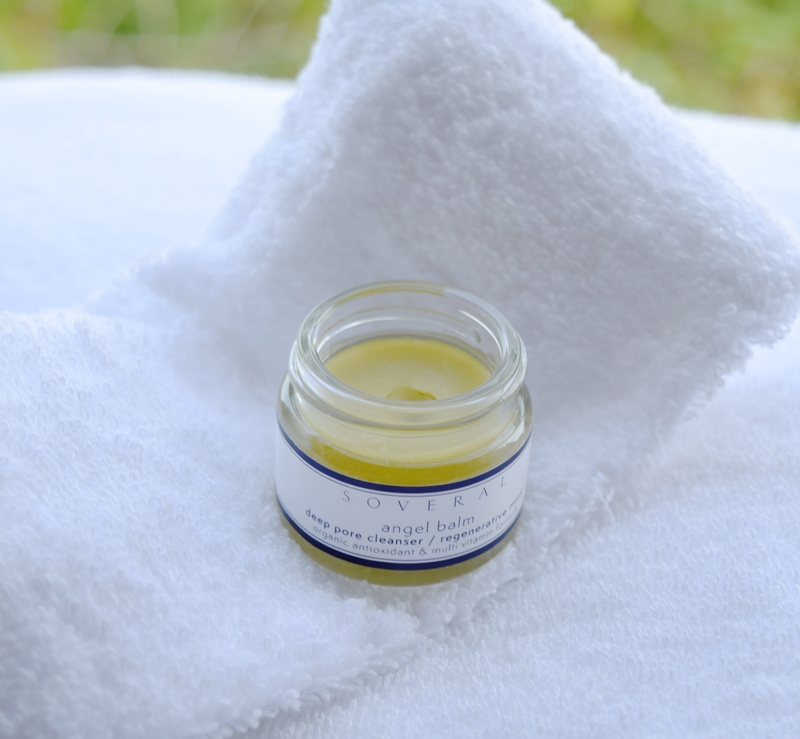 As well as treating myself to a little r&r, I’m going to be giving my skin a bit of a break too! Rather than wearing my normal makeup, I’m planning on using only a touch of the new Roche-Posay Effaclar BB Blur, and a bit of bronzer. 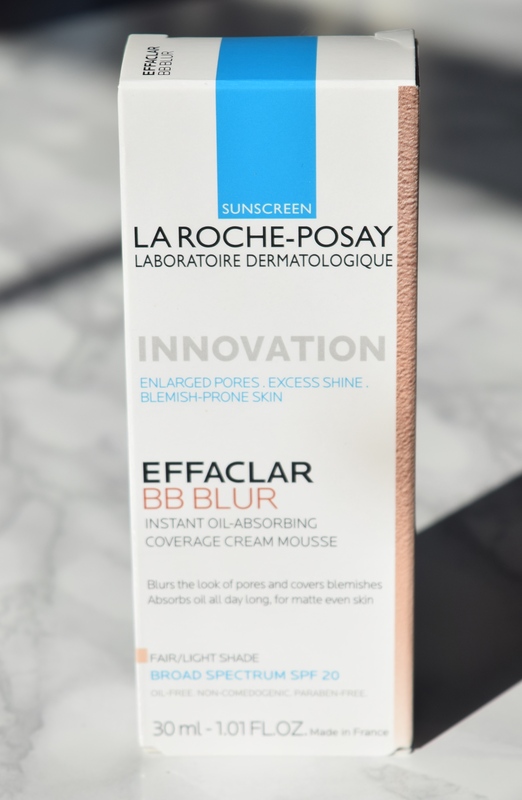 Like all of Roche-Posay products, the BB Blur is seriously kind to skin. 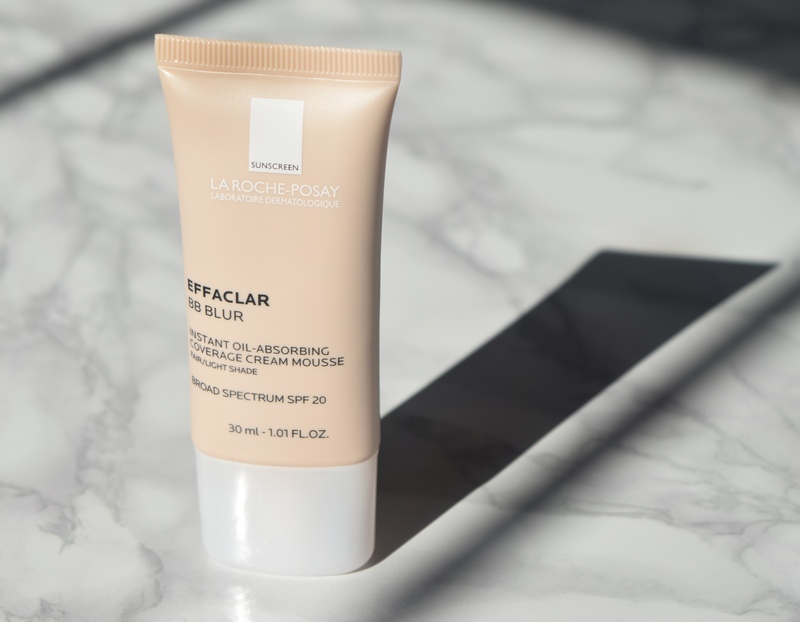 Rather than a lot of foundations and bases which can feel itchy or heavy, Roche-Posay’s offering is a mousse, and airy light! 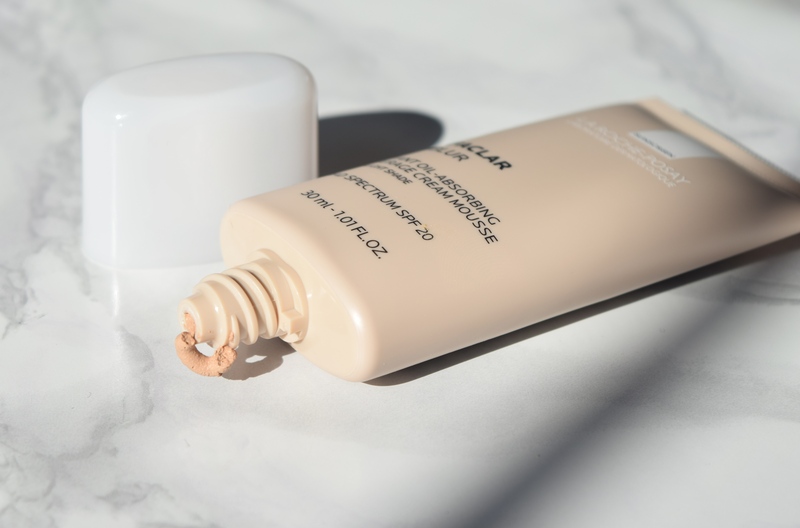 It absolutely melts into freshly moisturised skin, evening out tone, erasing imperfections and leaving a perfect amount of glow. I absolutely adore the consistency of the BB Blur, and it’s even a great base product if you’re after something with a little more coverage. 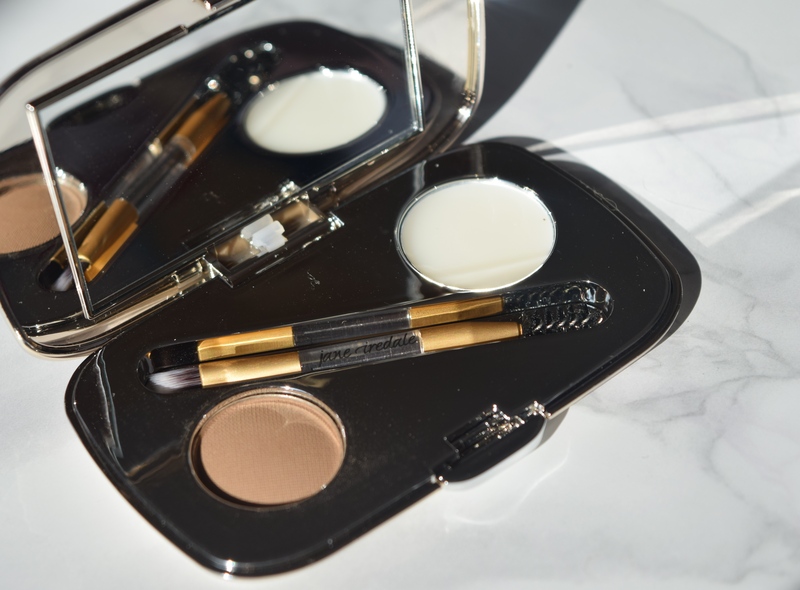 So it doesn’t look like the groomed brow trend is going anywhere soon (thank goodness), so I’m always keen to try out new products. 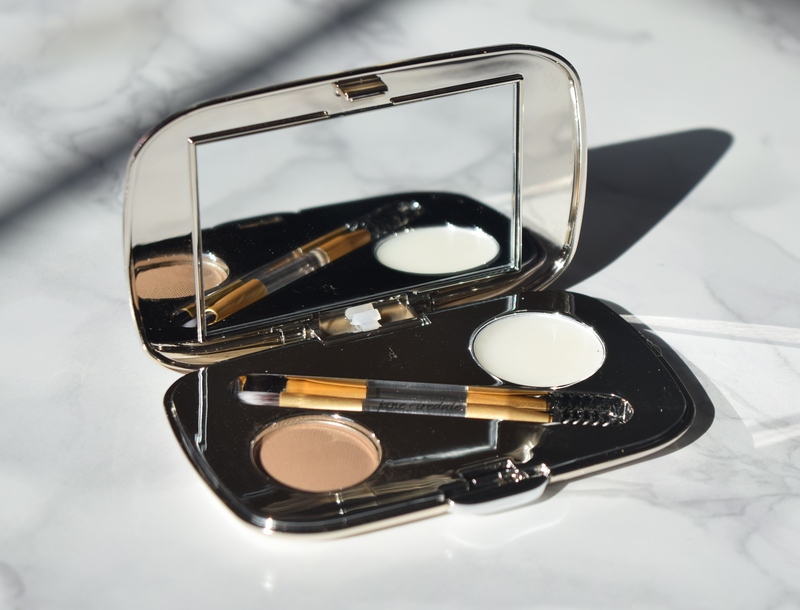 Recently I’ve been loving using brow kits to achieve a natural-looking amount of definition, and keep my brows looking as good as possible. 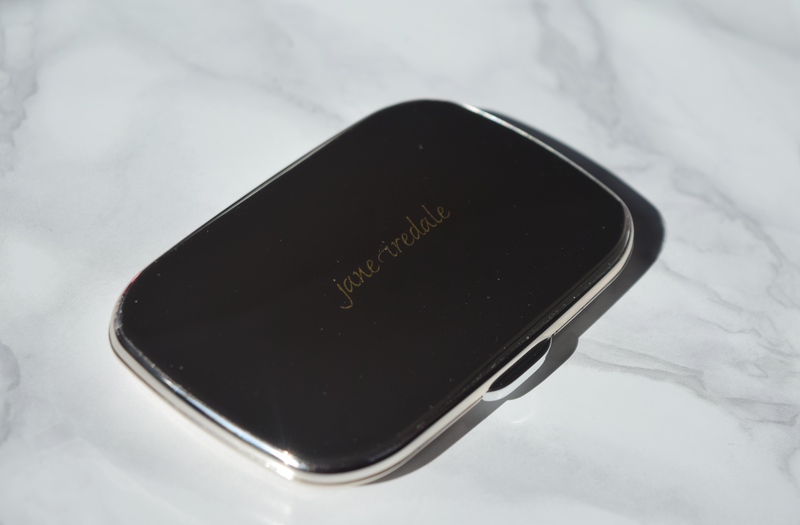 My newest acquisition has been the just about to be released GreatShape Eyebrow kit from Jane Iredale in Blonde. 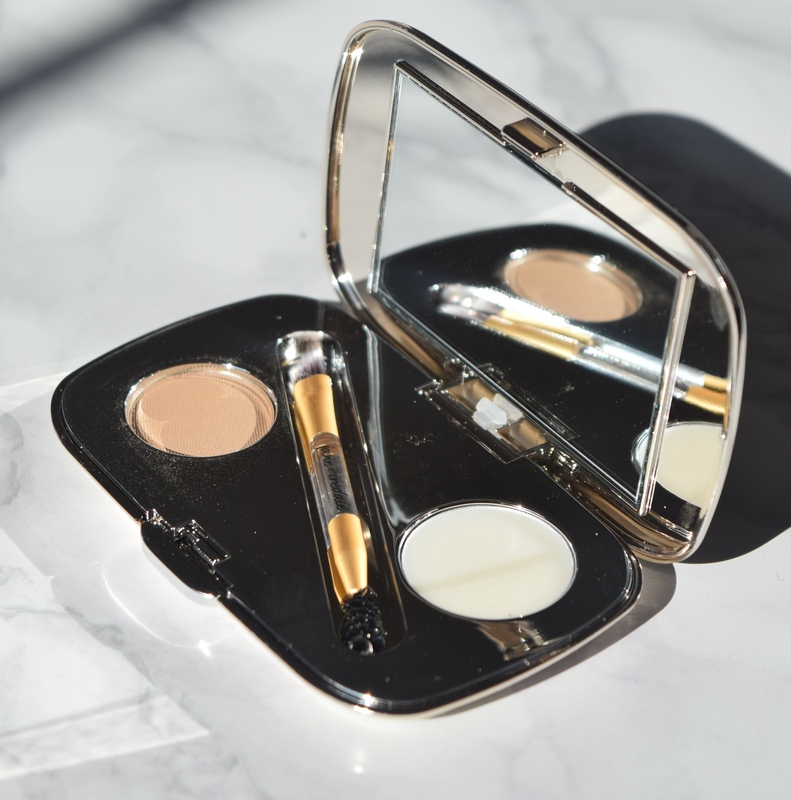 Packaged in a very glamorous rose gold mirrored compact, the kit contains a soft blonde powder, brow wax and double ended brush. 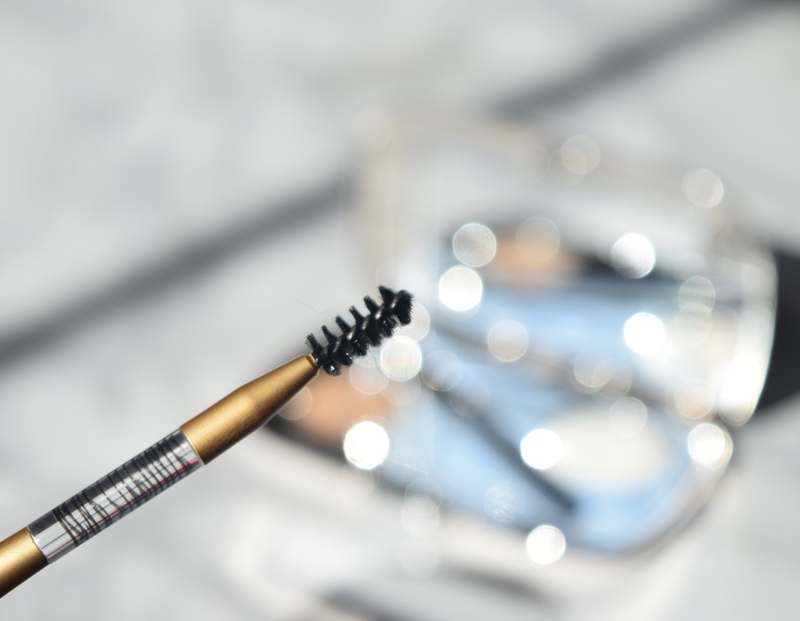 Everything you need to get your brows in order in one super sleek little package! I love the fact that you get a little double ended brush included with the kit. The spoolie end is perfect for brushing brows into place and combing through the wax, whilst the angled brush is a lovely size for applying the brow powder. Using the kit couldn’t be simpler! First, I brush my brows upwards into my desired shape, then comb through some of the botanical wax. It has a lovely soft texture which keeps brows in place as well as giving them a bit of a sheen. 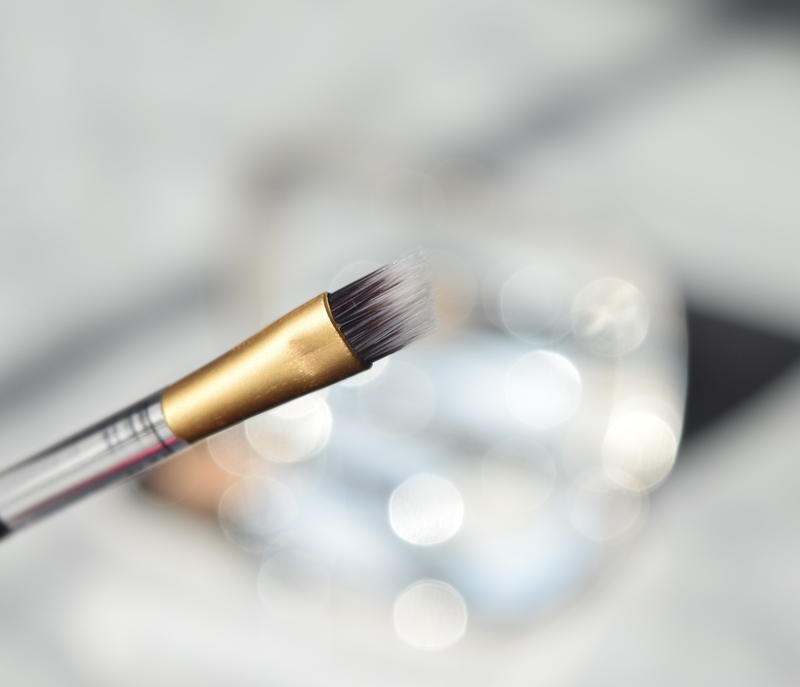 Then, using an angled brow brush, I take a little of the powder and simply fill in my brows. It has a buttery soft feel, and the colour payoff is really great. If you have any sparse areas, or simply want to build your brows up a little, it’s a great little toolkit to keep handy! Whenever I’m looking to buy gifts for someone, I always like to treat them to something rather indulgent. 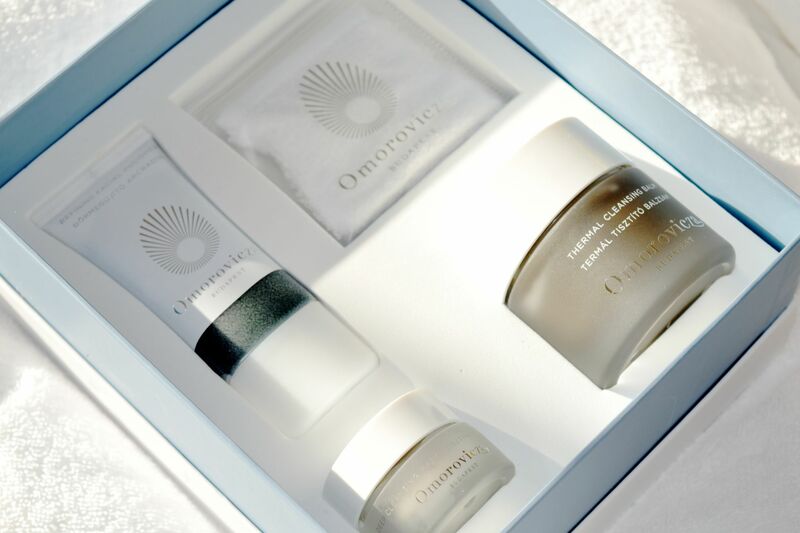 And when they’re packaged as beautifully as Omorovicza’s Moor Mud Christmas Set, I don’t even need to worry about the wrapping! 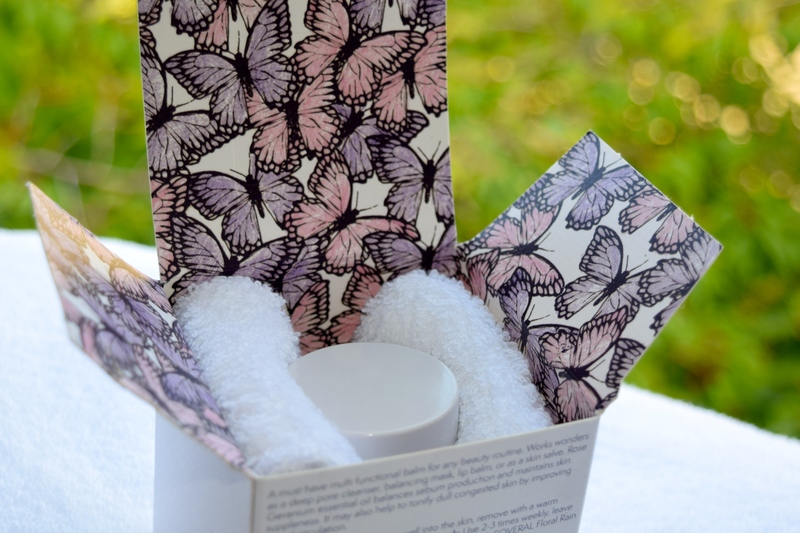 Tucked inside a rather luxurious gift box are three of the brand’s best loved products, as well as a dinky little Cleansing Mitt. It’s all you need to keep skin soft, clear and glowing throughout the Festive Season and well into the new year. I love how the box is laid out, and when I cracked it open, I couldn’t wait to get stuck in and give myself something of an at-home facial. I absolutely adored my treatment at Harvey Nichols (you can read about it here), so getting to relive the experience is such a treat! 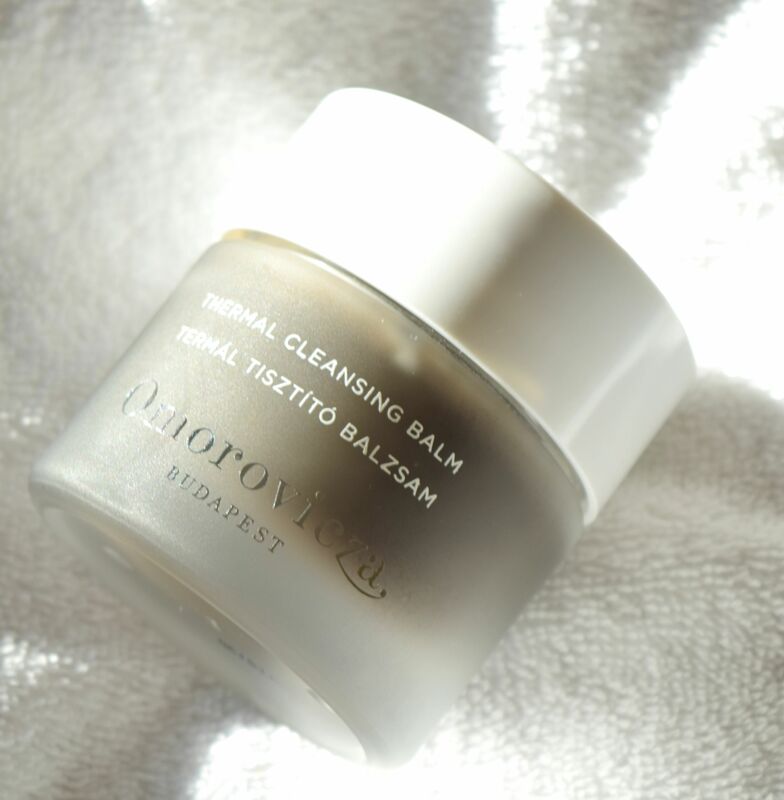 The Thermal Cleansing Balm was the very first Omorovicza product I tried, and it’s truly one of the best out there. In the jar it looks rather intimidating in colour, but once you dig a little of the formula out it’s a light grey which smells absolutely incredible! 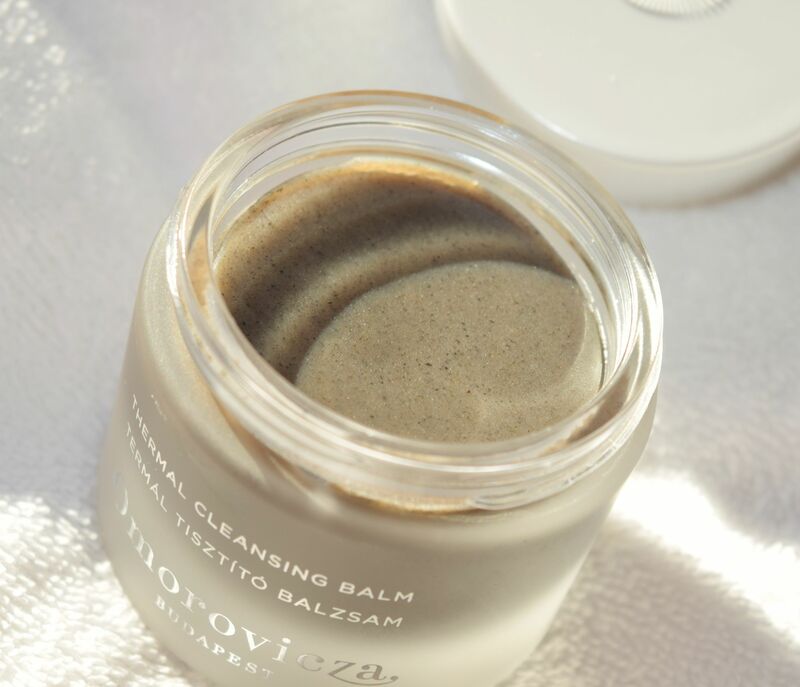 The balm is incredibly rich in Hungarian Moor Mud, which has a unique mineral complex that detoxifies and purifies the skin. 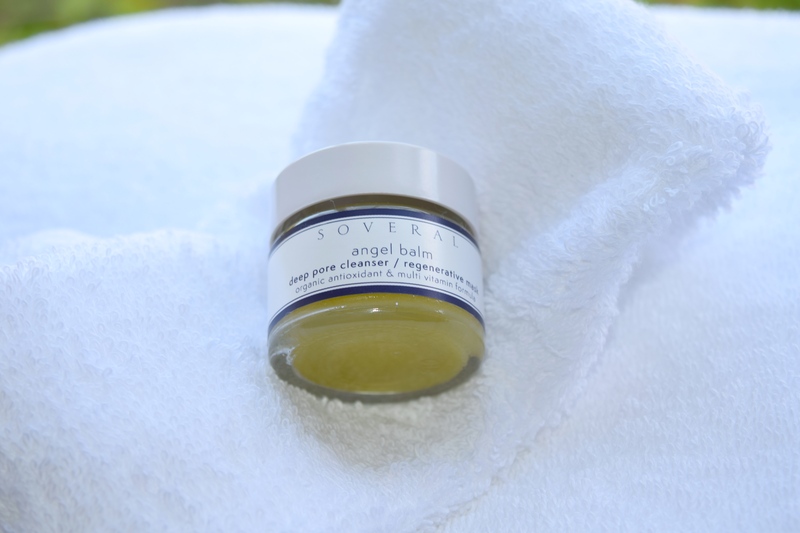 Even when my skin is at it’s driest, the balm never makes my face feel tight or dry. It’s a wonderful option for sensitive winter skin, and it removes makeup like an absolute dream. If you’re thinking about treating yourself to the balm, it’s worth buying the Moor Mud Christmas Set as it’s the same price as a single jar of the cleanser! 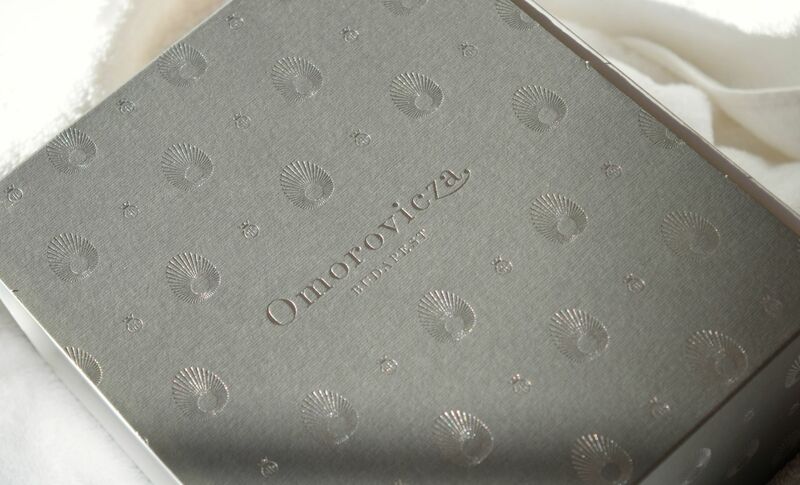 Omorovicza’s Refining Facial Polisher is one of the products that I’ve been absolutely dying to try! 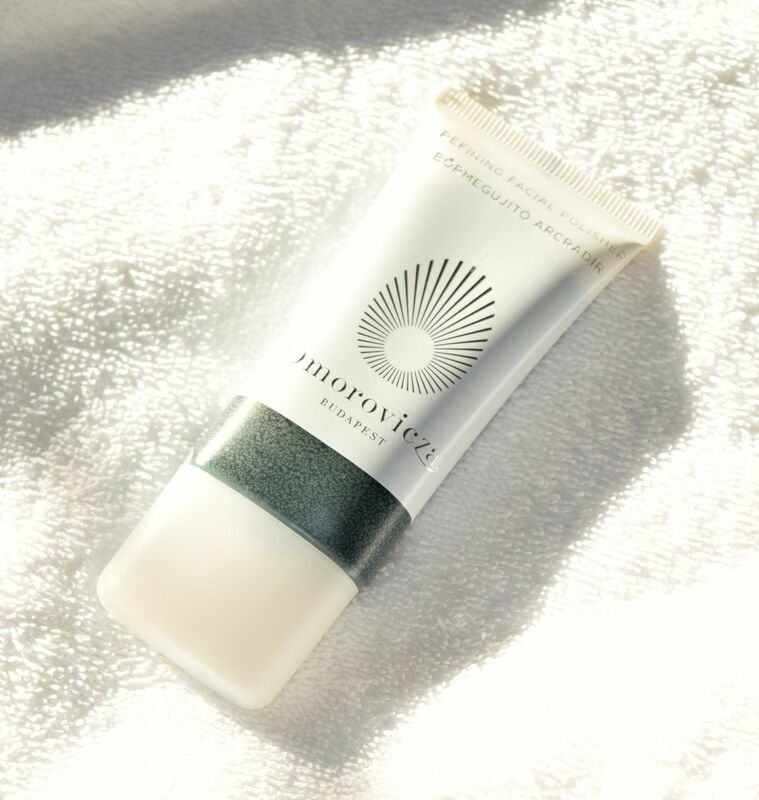 Thanks to the marine micro-algea in the formula, the Facial Polisher is a deep emerald green shade, and it’s a really fun product to use. 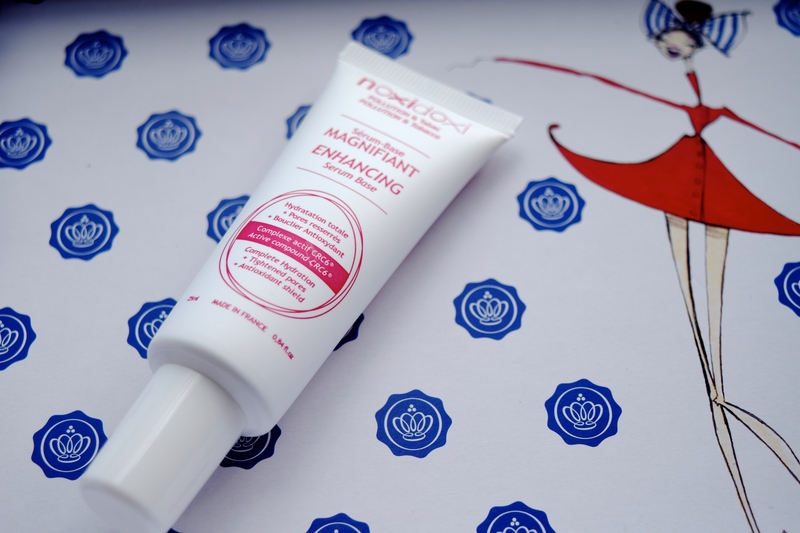 The exfoliation in the product comes from ground pumice, which means that it’s super gentle on my sensitive skin, and I can really see a massive difference in my skin when I use it! The tube is a very generous 30ml, which is just under a 1/3 of a full size, so it’s going to keep me going for quite a while! The last skincare product in the set is the Deep Cleansing Mask. It’s probably the most conventional product out of the three, but it’s a must have for keeping skin clear over the holidays. I’ve been using it weekly, as I love how the calcium and magnesium-rich formula clears congested pores and brightens my complexion. 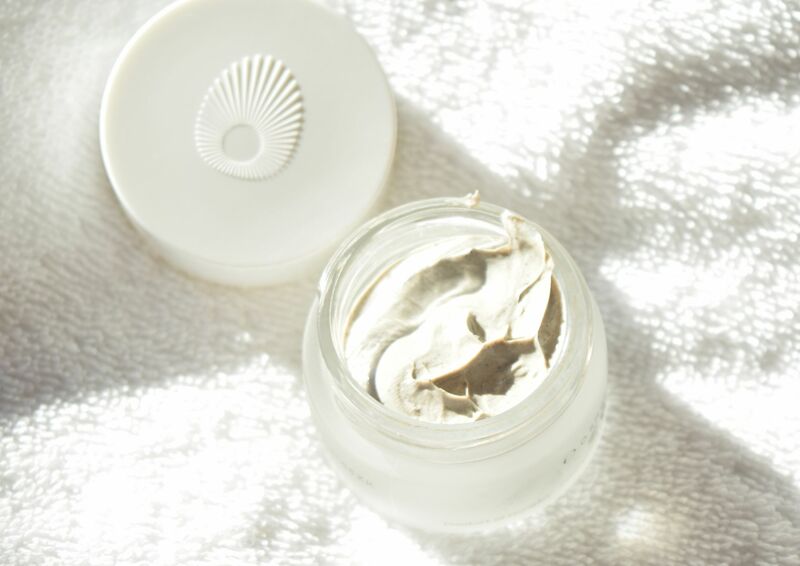 Moor mud is the key ingredient in the mask, as it works to clear skin, without making it feel taut – so perfect for this time of year! The last little parcel in the Moor Mud Christmas Set is the super cute little Mini Mitt. 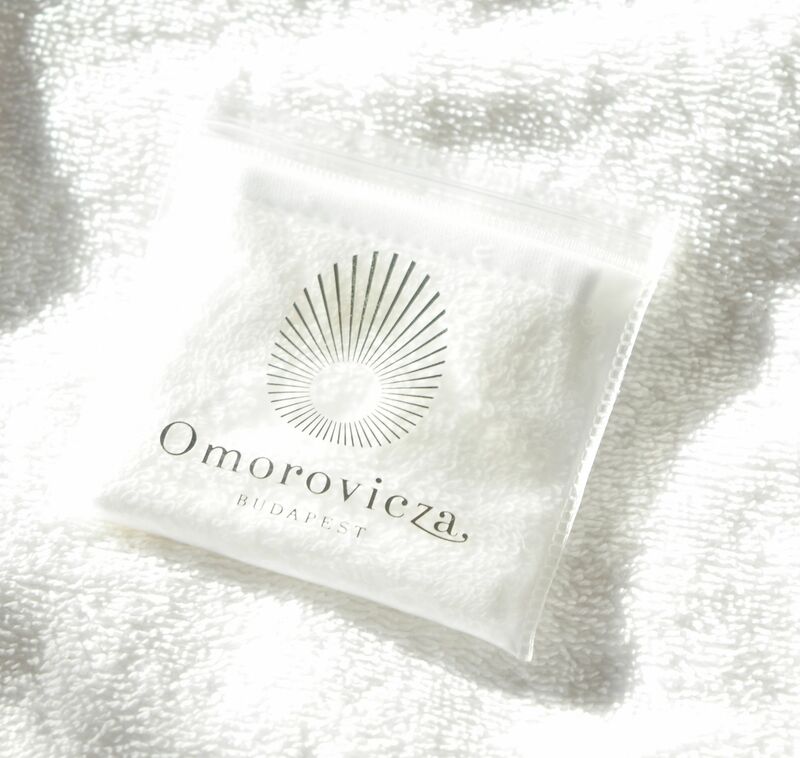 Made of pure white cotton, it easily slips over a couple of fingertips and is perfect for removing cleansers and masks. It’s perfect for my little DIY spa sessions, and its dinky size means I can keep it (in it’s little pouch) alongside my cleansers. 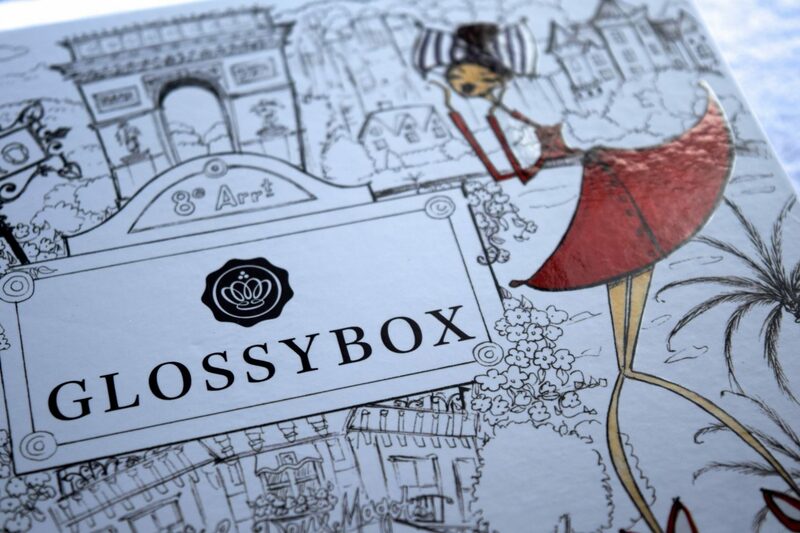 This month’s Glossybox might just be the prettiest yet! 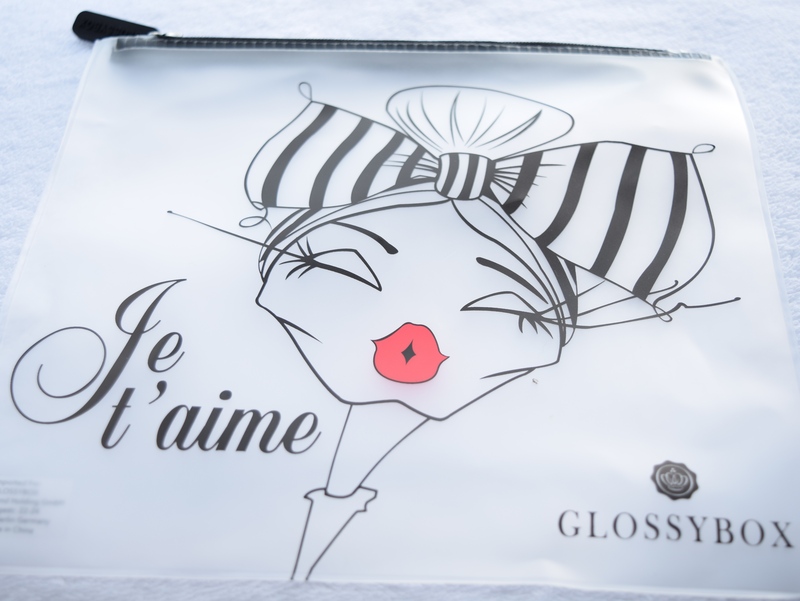 From the gloriously illustrated box to the rather chic goodies tucked inside, Glossybox have completely hit it out of the box! 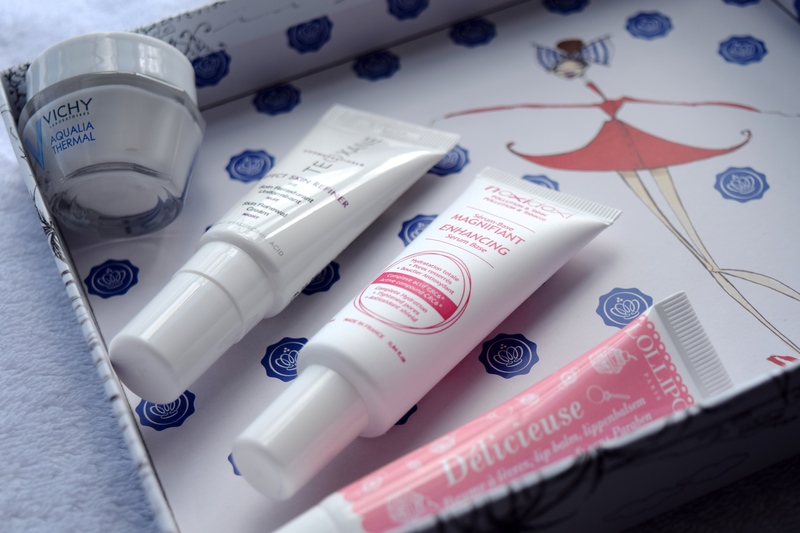 With gorgeous cartoons courtesy of fashion illustrator Jamie Lee Rardin, this month’s box focuses mainly on some great French skincare, with a great little lip balm popped in too! 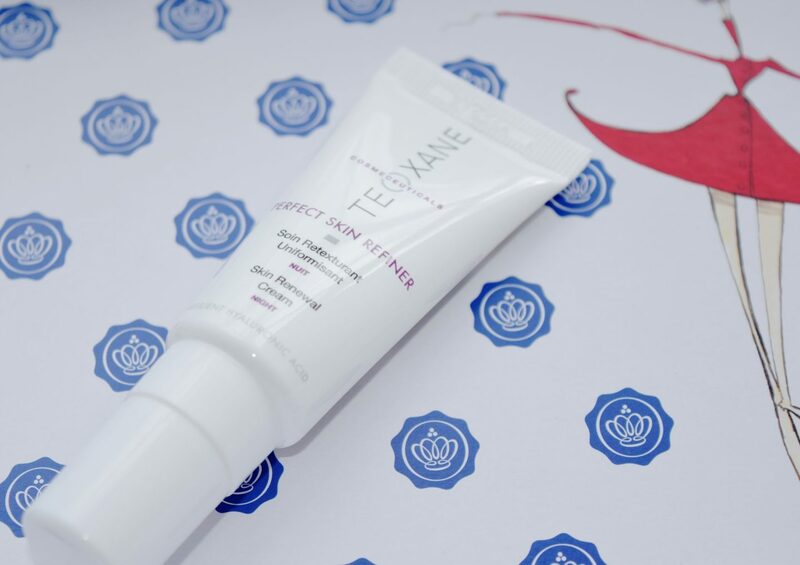 I’ve never come across the brand Teoxane, so I was excited to try their Perfect Skin Refiner which contains mix of AHAs (10% glycolic acid) and hyaluronic acid for glowing skin. I’m currently waiting for my skin to fully heal after a rather unwelcome flare up, so once I’m good to go, I’ll definitely be giving this a try! Noxidoxi is another brand I’m not familiar with, so it was lovely to get a good size tube of their Enhancing Serum Base. 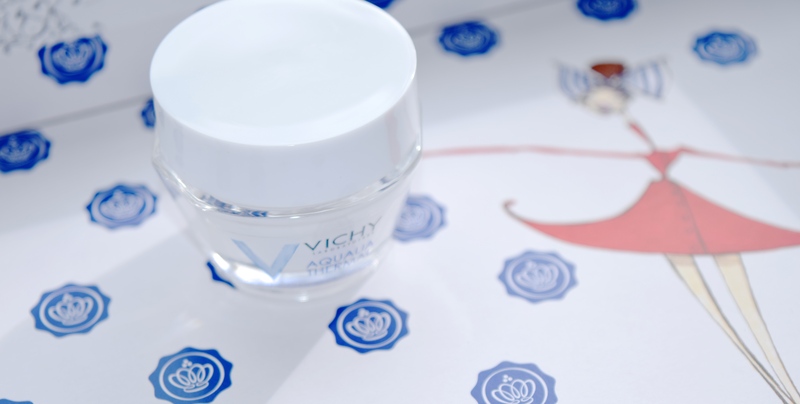 It promises to provide complete hydration, whilst tightening pores and providing protection from antioxidants and pollution, which is perfect for heading into the city. The Serum had a light formula which was easily absorbed into skin, so I’m looking forward to giving this a good try! I absolutely adore Vichy skincare, so I was so happy to see an adorable mini glass jar of their incredible Thermal Light Cream. I love how nourishing and soothing it is, and I’m already nearly half way through it! I love when beauty boxes include full size products, so Jelly Pong Pong’s tube of Lip Balm Delicieuse was a welcome addition! 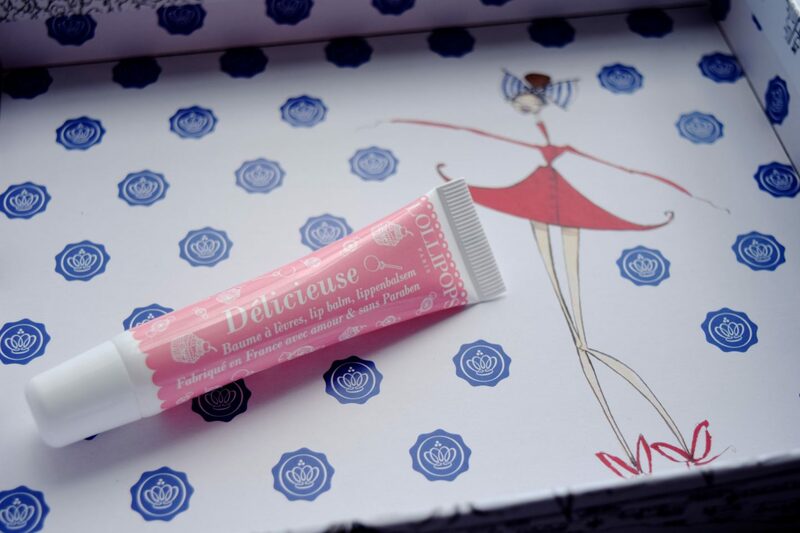 It’s quite a light formula for a balm, so it’s perfect if you don’t like sticky or goopy lip products, and it has a super sweet scent – delicieuse indeed! As if all of the goodies weren’t enough, they came tucked inside this adorable little pouch which is adorned with a fab Jamie Lee Rardin illustration. It’s perfect for tucking inside your handbag, or if your traveling it’s great for popping your liquids in.